Central to the Cathedral’s mission to “seek and serve Christ in all persons,” Christ Church supports not-for-profit organizations in Nashville and Middle Tennessee as they work for the common good. For more information about any of our ministry partners, please follow the links below. In addition to those agencies and not-for-profit organizations that Christ Church supports locally, the Cathedral supports and partners with organizations around the globe who are doing the work of the Gospel. The Amistad Mission in Bolivia consists of a children’s village in the city of Cochabamba and a medical clinic, day care, and school in Aramasi, a village in the high Andes mountains. For more information, contact Chris King. St. George’s Church, Baghdad has several hundred worshippers among the people of that very dangerous city. It also provides humanitarian assistance every week to scores of people from all faiths, including a clinic and food and clothing distribution. For more information, contact Ken Penegar. The Christ Church Cathedral/Haiti Partnership‘s mission is to educate and feed the children in the school of the village of Boc Banique. For more information, contact the Reverend Matthew Lewis. 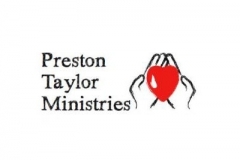 Responds to the needs of the homeless and provides volunteers to work with homeless persons on Sunday mornings by offering information and referrals. Contact Walker Willse or Jon Stanley to learn more. Every first Sunday of the month at 2 p.m., Christ Church Cathedral serves a meal to the hungry at the Church of the Holy Trinity (615 6th Ave. S.). You are invited to come and assist in this servant ministry. Volunteer here, or contact Gina Williams for more information. Each year, Christ Church Cathedral participates in the Winter Shelter program for Room In The Inn. Every Thursday from November through March, we host 12 homeless men to share a meal, take part in fellowship and have a warm place to sleep. Again this year, every other Tuesday, we are also inviting 12 homeless women to join us at Christ Church Cathedral. There many ways to volunteer to help in this ministry. First, we need innkeepers, both men and women. At least two innkeepers stay overnight with our guests, arriving at 5:30 or 6:00 p.m. and staying until about 6:00 a.m. the next morning. The duties include serving/sharing dinner, distributing clothes, doing laundry, serving breakfast, and helping out our guests in general. Innkeepers usually volunteer once a month. We also need volunteers to help set up, provide the meal for our guests, and serve dinner. We need an entree for 20 people, as well as sides, salad, desserts, and bread. We also need 12 sack lunches for our guests. Groups are welcome to sign up to provide the whole meal or individuals can provide a specific item. We are always in need of WARM clothing for both men and women, including blue jeans, long sleeve shirts, coats, sweatshirts, hoodies, hats, and gloves. Our storage space is fairly small, so please try to donate WARM clothing. Also, we are always in need of t-shirts and underwear. If you would like to volunteer you may sign up here. If you have any questions about becoming an innkeeper, donating clothing, or becoming a food volunteer, please contact David Morton or 615-715-0946.